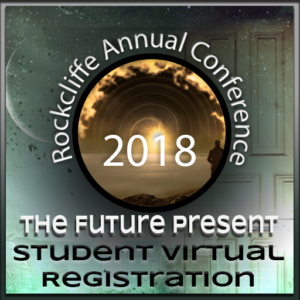 Join us online for the Rockcliffe Annual Conference at the at the Fort Mason Center for Arts and Culture in San Francisco, California, November 9-10, 2018. Virtual Registration includes access to the live stream, infographics, ability to engage with the conference through online chat, ability to access conference materials post conference, and access to the journal post conference. Ticket cost is $140 for students over age 18. Register today! *IMPORTANT: Students age 18+ only. You will be required to submit a copy of your current schedule showing which school you are attending and that you are currently enrolled in classes. Ticket cost is $70 for students over age 18. Register today! Directions: Further instructions for online access to the live stream and other access will be provided.